A Blizzard console MMO would put heavy demands on Xbox Live, says World of Warcraft's lead system designer. 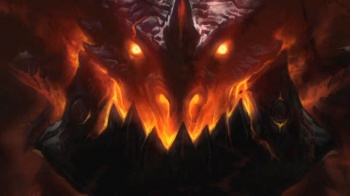 In order for MMO heavyweight Blizzard to bring something like World of Warcraft to the Xbox 360, there would need to be some long discussions with Microsoft about the state of Xbox Live, and how it might interfere with a console MMO. Microsoft puts limits on how many free updates developers can put out for their games, which would present significant difficulties for Blizzard when it came to adding new content. Blizzard's Greg "Ghostcrawler" Street said that the developer would need assurances from Microsoft that Live would be able to handle the demands of an MMO before it would even think about starting development. Street added that the infrastructure of Live wasn't the only barrier to getting an MMO on the 360. He thought that the design for most MMOs relied on having a keyboard and mouse, whether one was actually present or not. A proper console MMO meant throwing out a lot of what had come before and instead building something with a streamlined interface and much more elegant control system. Street expressed surprise that no one had done this yet, but was confident that someone would in the next few years. The structure of Xbox Live is something that multiple developers have decried. Square Enix made it very clear that the reason that Final Fantasy XIV wasn't coming to the Xbox 360 was because of Live, and Valve described the rules as a "train wreck," and assumed they would have to be change because of how broken they were. It remains to be seen whether Microsoft is willing the bend the rules in order to get something like WoW on the service, however.